Learn basic German words, the days of the week, name of months and German numbers in this edition of my free German language courses. The numbers from 1 to 12 are basic numbers, while 13 to 20 are built with the basic number (or a root of it) + zehn (ten). 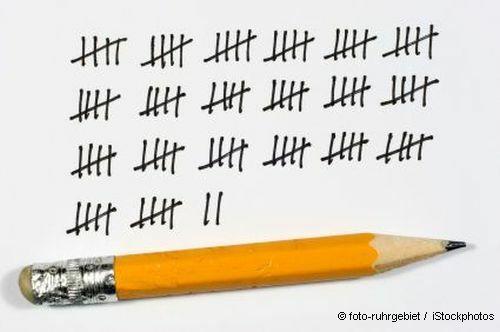 Come on, lets count.... eins, zwei, drei. German numbers from 21 to 100. Do you see the pattern? You build the decimal numbers with the basic number + the suffix zig, dreißig (only exception), vierzig, fünfzig, sechzig, siebzig, achtzig, neunzig. The numbers between the decimals you build with the basic number + und + decimal number, vierundsiebzig (seventy-four). It might be strange for you that Germans begin with the basic number, but really, vierundsiebzig means 74. Want the bigger numbers as well? Here we go. 100 = Hundert, 200 = Zweihundert, 300 = Dreihundert, 405 = Vierhundertfünf, 575 = Fünfhundertfünfundsiebzig and so on. Because the German articles are different for masculine (der), feminine (die) and neuter (das) nouns, I am going to add the article for every noun. Makes it easier for you to learn the darn articles. Now that was pretty easy? Please not that alle Monate (months) in German are masculine and use the article der. Finally, here are a few example sentences to practise what you've just learned. Ich komme am 5. September in Frankfurt an - I will arrive in Frankfurt on 5th September. Um wieviel Uhr kommst Du an (informal) / kommen Sie an? (formal) - What time do you arrive? Was kostet das? - How much is it?